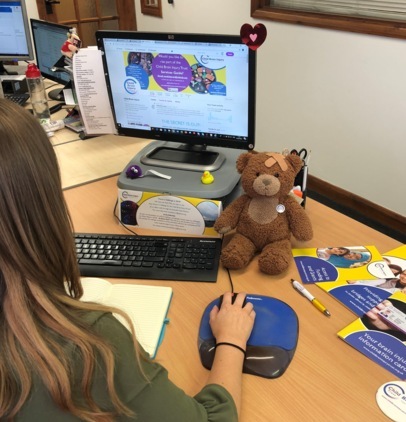 Child Brain Injury Trust volunteers are people who have chosen to give their time to work with us to help families whose children have acquired a brain injury. Volunteering can be a rewarding and fulfilling experience which can give you a renewed sense of purpose, experience in the work place and an opportunity to meet new people. If the idea of volunteering is something that you are interested in but are also a little nervous about, then please be assured that we are always interested to hear from you even if you only have a few hours a weeks to spare. All we ask is that you commit a few hours a week for a period of time. These hours will be agreed between you and the staff member, meaning that the partnership can work at a time that suits you both. Due to the nature of our work, all volunteers and staff are required to undertake an Enhanced Check with the Criminal Records Bureau, and we will happily talk you through this process if you are at all unsure about it. If you have read this, and might be interested, please complete the application form below and send it back to info@cbituk.org along with a brief description of what you would be interested in helping us with. Currently no Vacancies for Volunteering. We have developed the Volunteer Handbook so as to ensure that your many questions are answered. In the event that you need to know something else, please don’t hesitate to ask. We love being able to talk about Child Brain Injury Trust and ABI. That’s our passion!